Francis Iles is a family run gallery spanning over 40 years in Rochester, Kent. They specialise in contemporary watercolours and illustrations. A great painter of the English landscape and seascape. 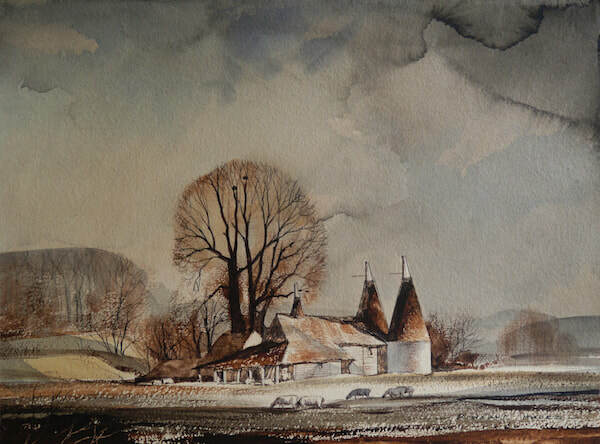 Rowland Hilder was born in 1905 at Great Neck, Long Island USA. His parents, brought him back when they finally returned to England in 1915. He trained at Goldsmiths' College School of Art and during his career he has been recognised world-wide as the ambassador for British landscapes.